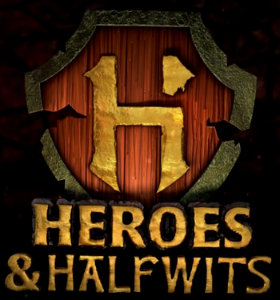 While roleplaying in a game like Dungeons and Dragons, free will is the name of the game. Nearly everything is open-ended and your choice. You decide what your character does and says, and that is only limited by your imagination. You decide to approach the hooded stranger in the tavern. You decide to join her to free her brother held prisoner by a troll. And, ultimately, you decide whether you’ll fight the troll with your broadsword or shoot arrows to stay out of range of the troll’s mace. When you get to this point, however, your fate becomes sealed to your rolls of the dice. And, Dungeons and Dragons has a lot of dice with some pretty strange and intriguing shapes! 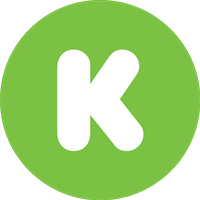 More often than not, the dice come into play in Dungeons and Dragons when a battle occurs. Battle typically has three sequences. You roll to see who attacks first (or takes the initiative); you then roll to see if you hit or penetrate the armor of the other person; and, finally, if you do hit them, you roll to see how much damage you’ve done to their health or hit points. A Dungeons and Dragons dice set is typically made up of seven dice. 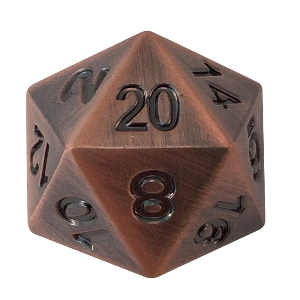 There’s the 20-side die, or D20, the 12-sided die or D12, the 10-side die or D10, the 8-sided die or D8, the six-sided die or D6 and the 4-sided die or D4. 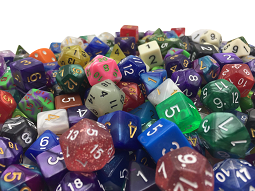 Most sets will include two D10s for percentage rolls … more about that later. 20-sided dice for RPGs are essential to D&D gameplay. It is by far the most-used die of them all. In battle, it determines who strikes first and how accurate their strike. For instance, you encounter an evil living tree that blocks your path. You roll a 15 on the D20. The Dungeon Master rolls for the evil tree and gets a 13. In this case, you have the initiative and strike first. The living tree’s tough bark gives it an armor class of 14. That means, in order to do damage to it, you must roll a 14 or higher on the D20 to do any kind of damage to the tree. Of course, these are simplified explanations, and many other factors come into play. For instance, you might have a magical sword that adds +1 to your attack roll. In this case, you would need to roll a 13 or higher to hit the tree. Once, you’ve hit the opponent, you still need to determine the extent of damage done, which is when the other dice come into play. The D12 is almost exclusively a die that determines battle damage. You and monsters in Dungeons and Dragons only have so many hit points or “life points”. When the hit points go to zero, you or the monster are dead. If you’re able to hit your enemy as determined by the D20, then you find out how much damage you do. Some of the largest weapons (and some spells) do 1 to 12 points of damage and so are determined by the D12. You roll and get an 8. The orc you were fighting only had 5 hit points left. That orc is dead! 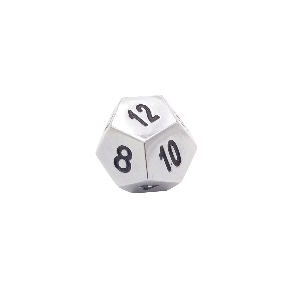 Much like the D12, the D10 is primarily used to determine damage from specific weapons or spells. Additionally, your two D10s can be used when your Dungeon Master determines that something has a percentage chance of succeeding. 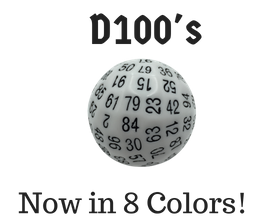 Usually in a set, the two D10s will be different colors. You will determine what color is the first number and what is the second. Say, for instance, you make the green die first and the blue die second. You roll, and green comes up a 6, and the blue comes up a 4. You just rolled a 64… or a 64%. In the game, you come to a very narrow stone bridge. You are wearing heavy armor, but you decide to try to cross the bridge. Factoring in other aspects of your attributes, the Dungeon Master determines you have a 34% chance of falling off the bridge while crossing. As you begin to cross, you roll. Roll a 34 or above, you safely cross the bridge. Roll 33 or lower, you fall into that raging river below. Other dice rolls and skill sets will determine if you drown or not. 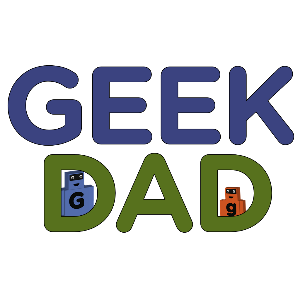 Like the D12 and D10, the D8 is used more often than not for determining damage done. It’s used fairly often because it’s the damage factor assigned to weapons that can be wielded in one hand, which means the other hand is free to use a shield. Carrying a sword and shield is popular for the warrior classes, and they tend to gravitate toward weapons that can do the most damage while still allowing the added protection of a shield. Those weapons often do 1 to 8 points of damage and so require the D8. 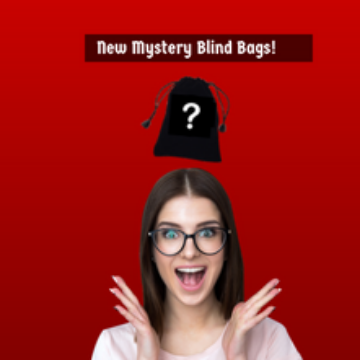 The D6 will be most familiar to people. It’s shaped exactly like the dice used for Monopoly, Risk, Tenzi, Yahtzee and many other games. 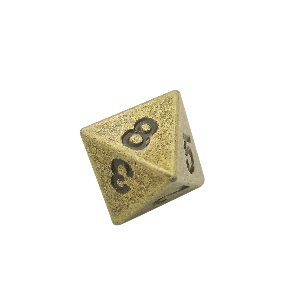 However, a D6 in Dungeons and Dragons, like all other D&D dice, use traditional numbers rather than the dots that are seen on conventional game-playing dice. 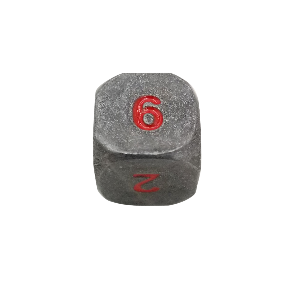 Like the others mentioned, the D6 is used for determining the damage done by spells and weapons. 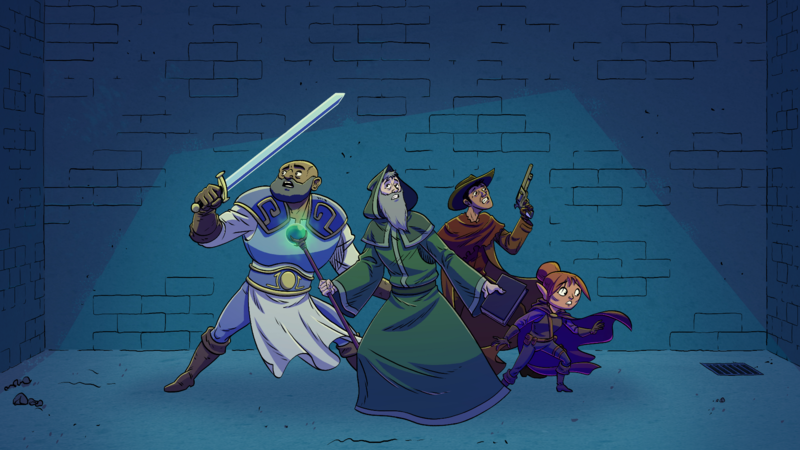 The D4 determines damage for the smallest weapons found in Dungeons and Dragons. It’s one of the strangest of the dice available because it has several numbers on each side. 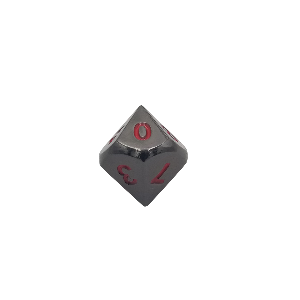 When rolling a D4, the result is determined by the number that is along the bottom edge of the die. Turning the die, you’ll see the number on all three sides. It will also be the only number that appears right-side up rather than at an angle. 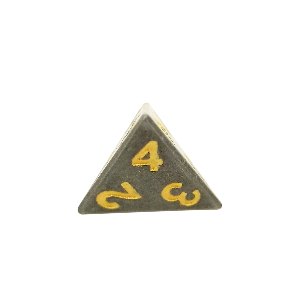 You only need to look at one side of the four-sided die to determine the numerical outcome, as that number will be the same of the other two sides. D&D dice are very interesting to look at and roll. And, their uses don’t have to be limited to Dungeons and Dragons. It could be fun to factor D&D dice into other games to spice them up. For instance, in Monopoly, rather than using 2 D6s to determine moves around the board, it might be interesting to use 2 D8s or D10s. Using Dungeons and Dragons dice has endless potential for spicing up other board and tabletop games. Your free will to use them elsewhere is only limited by your imagination. If you are going to play Dungeons and Dragons itself, however, you will definitely need a set of D&D dice! 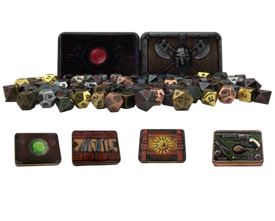 Browse the SkullSplitter collection of D&D dice online today.